Claims that shoppers are deserting the big four have been refuted by Chris Cowan, consumer insight director of Kantar Worldpanel UK (KWP). 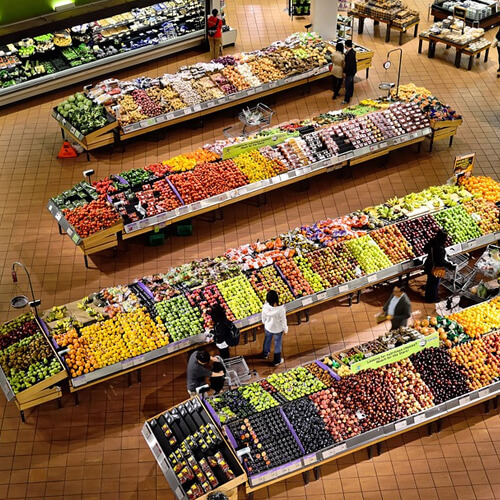 Despite grocery shopping trends showing a growing presence of discounters and online retailers in recent years, consumers are still frequenting the big four (Tesco, Asda, Morrisons and Sainsbury’s) – although they are supplementing this with visits to other retailers. This statement comes on the back of the news that the UK grocery market is now in deflation, for the first time since KWP records began in 1994. This deflation has resulted in a decline for the big four, however shoppers are not turning their back on the big four altogether, rather they are reducing the frequency of visits and amount spent in these supermarkets. KWP data shows shopper figures from the big four remain relatively unchanged from 2010, with all companies either maintaining shopper numbers or experiencing only a minor decrease. The impact of online does not appear as forceful, or to have grown as rapidly, in the grocery retail market when compared with other areas of retail. KWP data shows the number of households purchasing groceries online has grown from 4.3 million in the 52 weeks ended 9 January 2011 to around 6 million in the 52 weeks ending 14 September 2014.